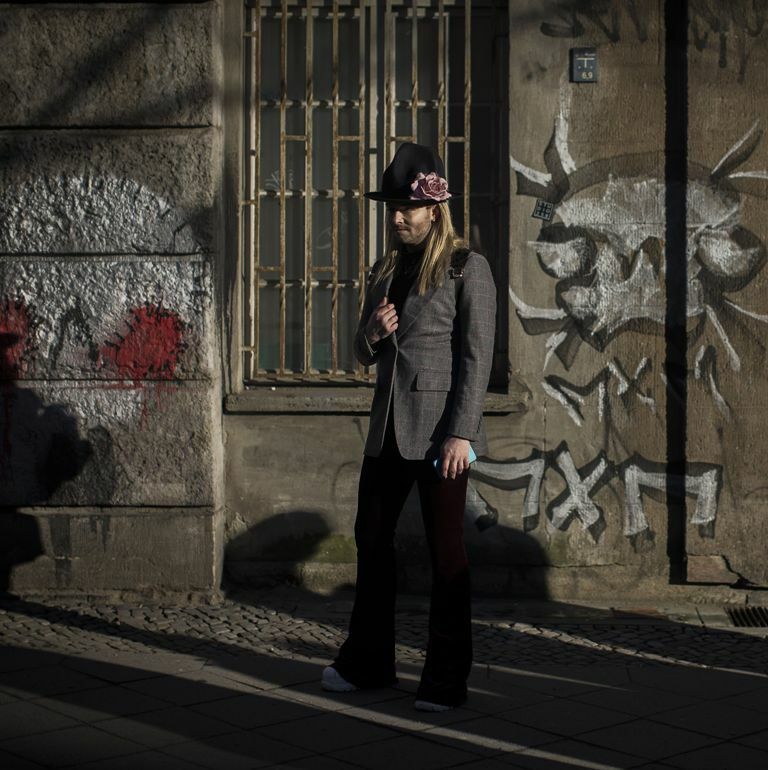 Fashion week hit Berlin by storm last week. The city was buzzing full of fashionistas, social influencer’s and sneaker heads. 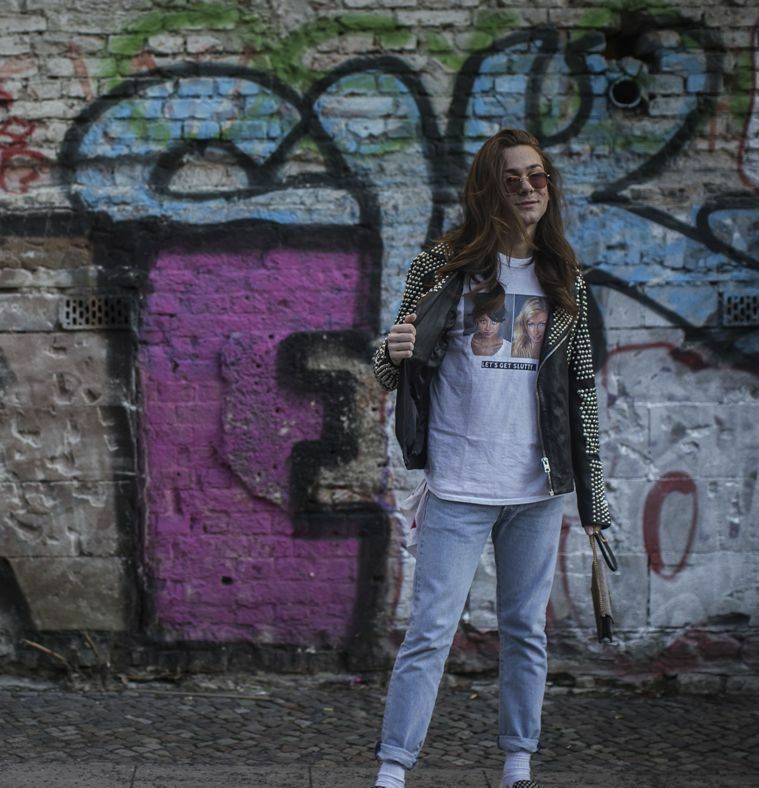 Berlin’s style was clear not just by the models on the catwalk and guests in the front row, but also through it’s street style. .The atmosphere in Berlin was especially heightened by the Adidas launch event of the EQT. On Monday the 16th we were given an exclusive look into the old and new Equipment and ZX Series. Held at the “EQT Loft” in the Mitte district, we stepped into the exhibition that held many styles from the private collection by March Lauscher. 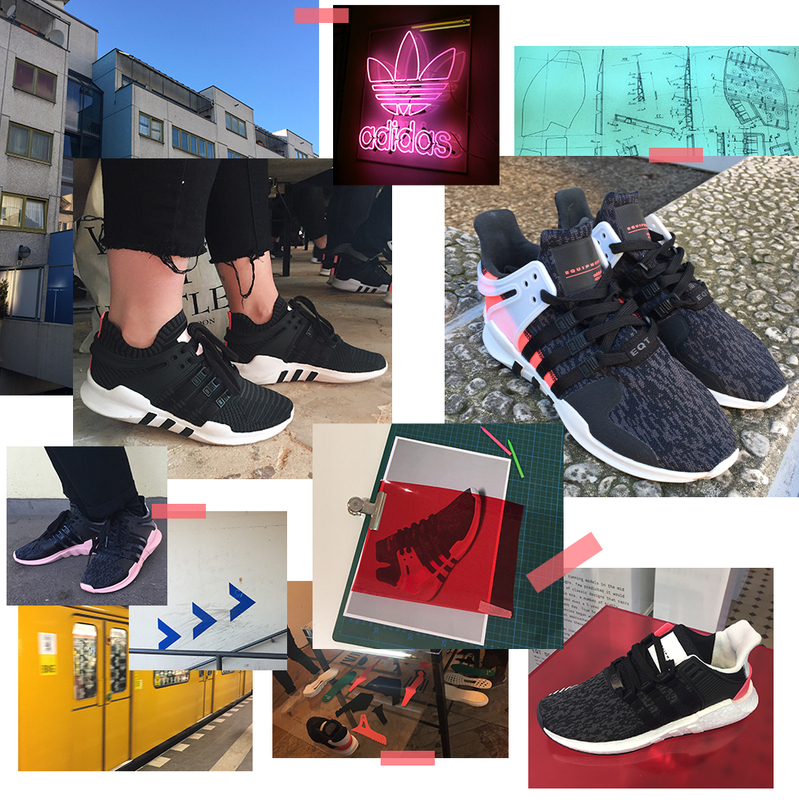 A presentation was given about the history of the model, the updated technology of the sneaker and what Adidas plan to do to move the brand further foward. At the launch party the following evening, Pusha T performed ahead of his exclusive EQT collaboration launching this week 28.1.17 in our London Selfridges concession only. If you’re in Berlin over the week or so then the EQT exhibition is now open to the public and is definitely worth a visit.The EQT Series launches this week the 26.1.17 in store and online. Featuring 4 different styles it’ll be hard picking your favourite. Check out our Instagram page for up to date info on launch. POSTED IN: Adidas by admin. The Adidas Superstar also known as the “shell toe” was originally released as the low version of the pro model basketball shoe. It has since stayed consistently popular through out the generations with the likes of Run DMC making the shoe the staple part of their street wear outfits which resulted in them being the first hip-hop artists to sign an endorsement deal with a corporation as large as Adidas. 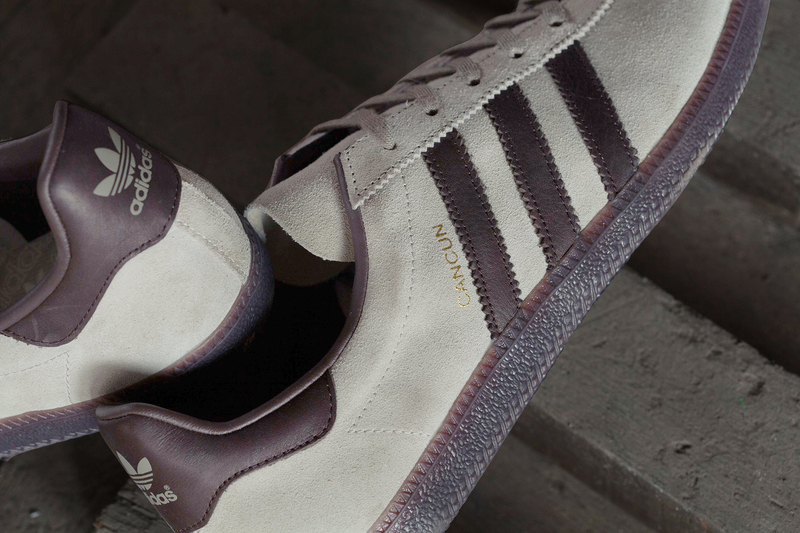 The sneaker has gone through some changes over the years whether that be textured uppers, the infamous 3 stripes coming in some more modern colours and more recently the metal toe cap which proved a huge success. The newest edition to the superstar family is launching on the Thursday – 04/07/16 – and features a copper textured toe resulting in it looking like copper in it’s more natural state. These will also be available in white with a silver textured toe. Check out our Instagram for up to date info on future releases. 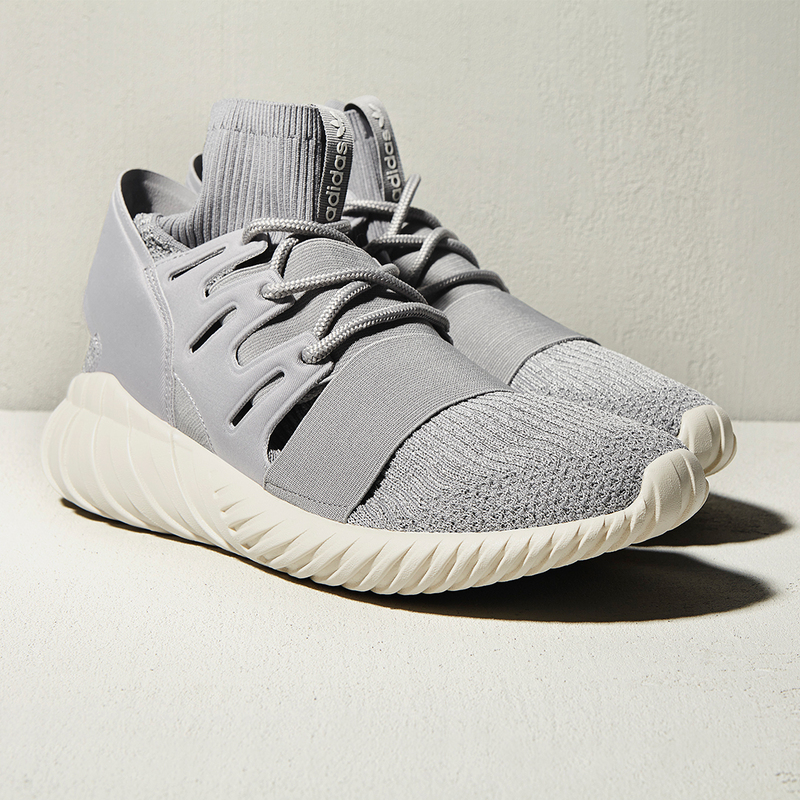 The Tubular Doom launch is upon us and as the latest in the Adidas Collection we can’t wait to get our feet into them. 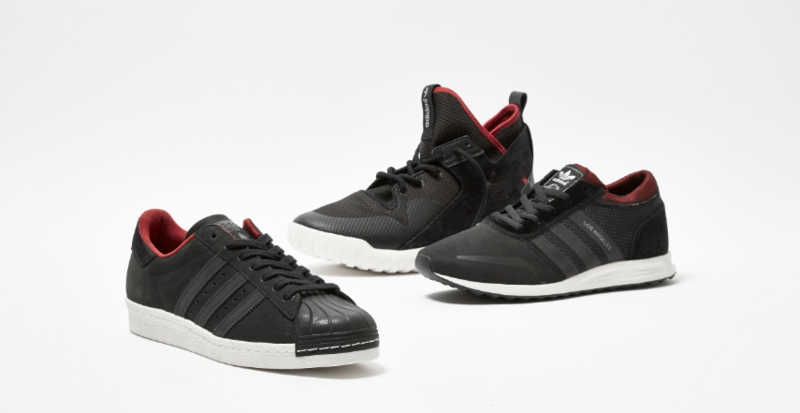 By updating the silhouette Adidas have proven that they can continuously create new lines perfect for their consumer. The sock-like features provide comfort, a better fit and of course some added warmth which is ideal for this current weather. 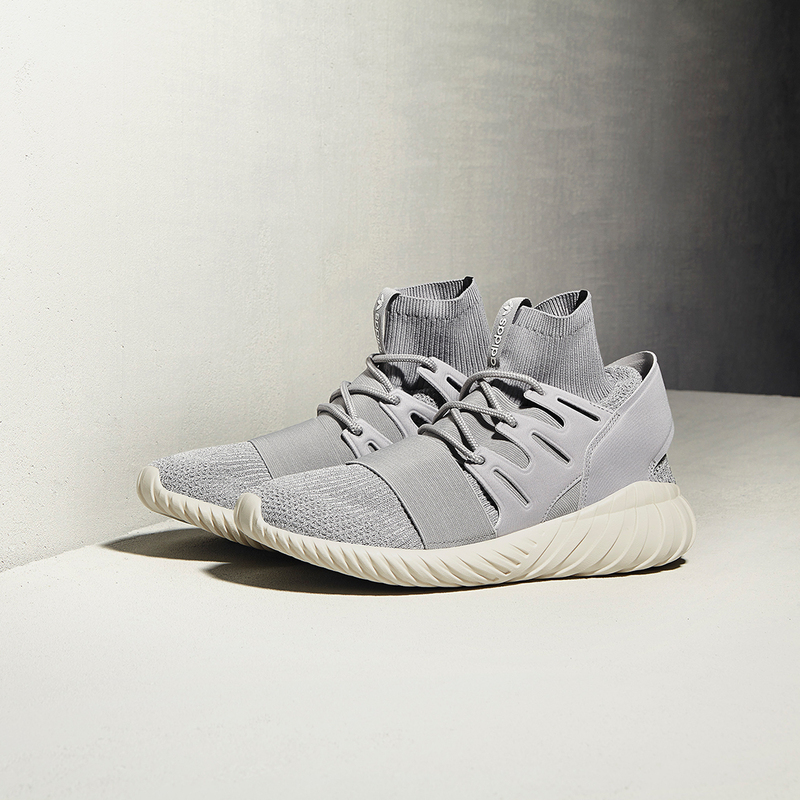 Watch this space as the Tubular Doom collection will be dropping into stores in the not so distant future. 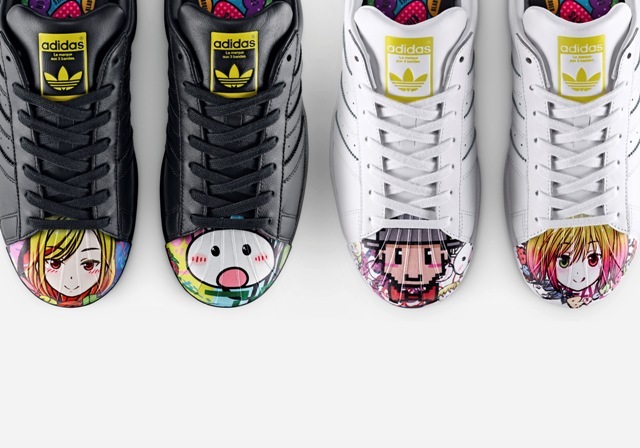 POSTED IN: Adidas, adidas Originals, Uncategorized by admin. Offspring have teamed up with adidas to create an exclusive collection equipped to tackle the winter elements. The ‘Winter Tech Pack’ sees a combination of premium and hard wearing materials across three acclaimed silhouettes. 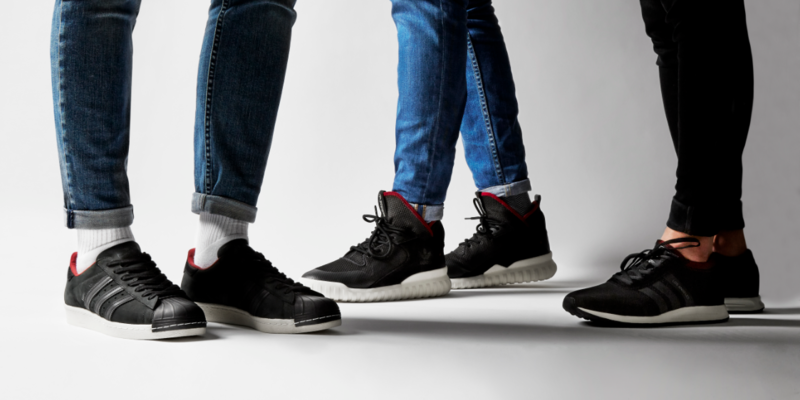 Executed in soft black nubuck with leather signature shell toe, nylon heel stay and tonal reflective stripes with rust red lining and herringbone-patterned rubber outsole for maximum grip. Flexible, breathable knit upper with fused welded toe box and reflected heel tab. 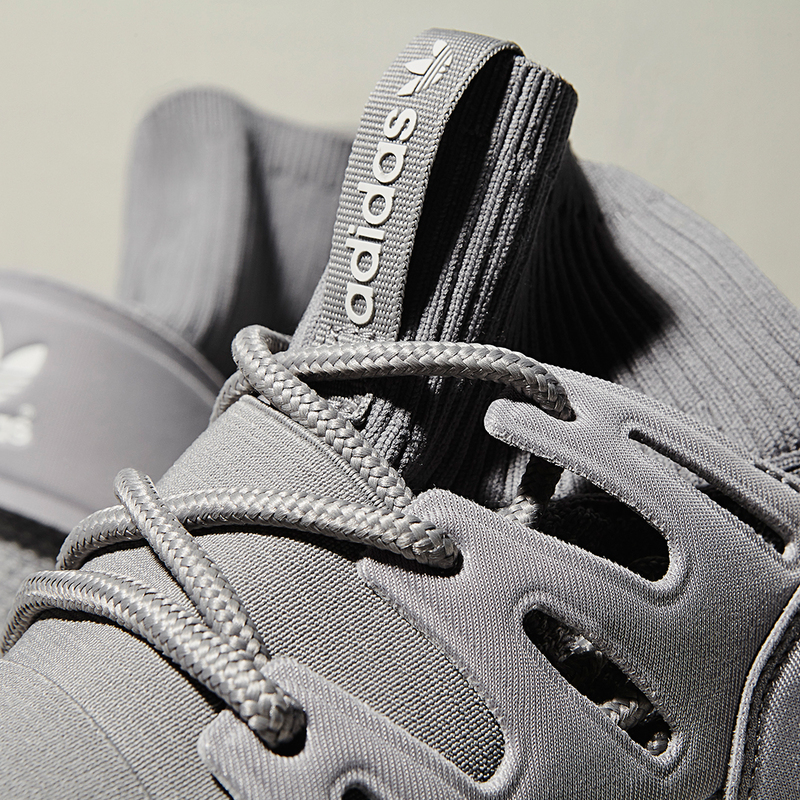 Tubular EVA outsole with sidewall rims inspired by adidas Forum shoe outsole completes the silhouette. Ballistic nylon upper and suede toe box with welded counter panels. Stealth like reflectivity on the side stripes and continental™ rubber outsole for optimal grip in wet conditions. POSTED IN: adidas Originals by admin. Up-and-coming Japanese fashion label The FOURNESS, headed by the multi-talented Kazuki Kuraishi previously of BAPE and Fragment Design has been collaborating with adidas for a few seasons. 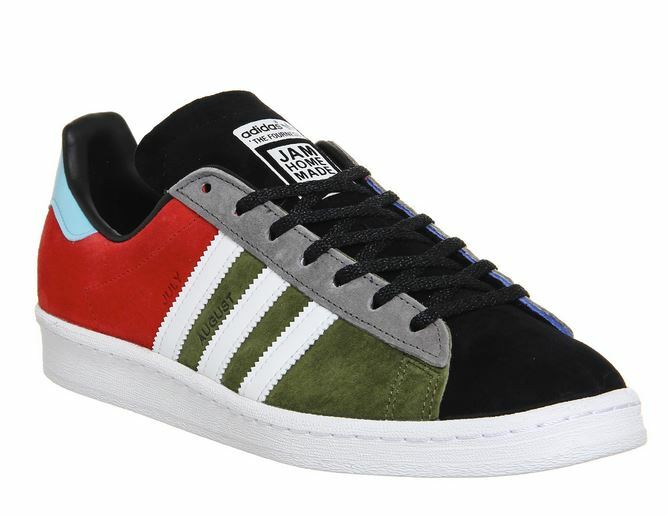 Kuraishi, who also worked for adidas, is bringing his new imprint’s designs to some classic adidas Originals silhouettes. Working with Japanese jewellery company Jam Home Made, these limited Campus 80s bring come birthstone inspiration to the colourway (Ruby for July and Peridot for August). 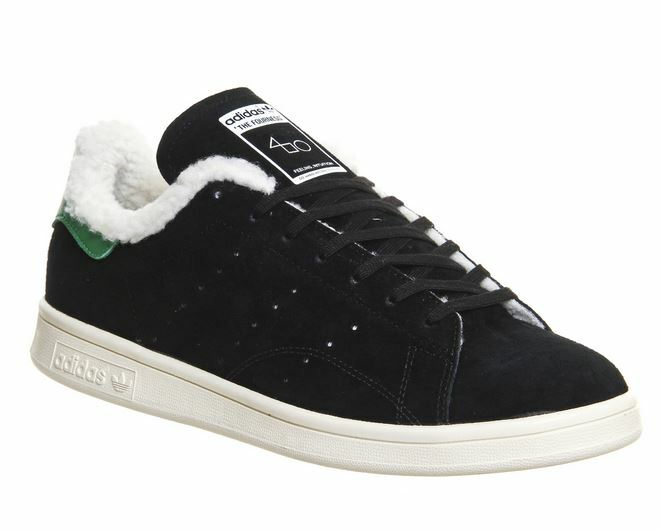 These reworked Stan Smith trainers have an unexpected twist with the addition of a soft faux fur lining, winterizing a classic. 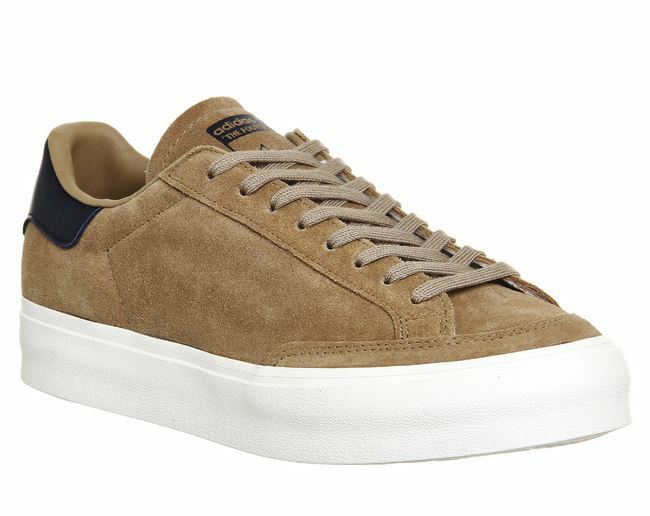 The FOURNESS version of the Rod Laver gives it a premium finish in soft cardboard brown suede with a thick, white vulcanized sole. After the first two offerings from Kanye West’s collaboration with adidas Originals, it was about time we were offered a third instalment and we are pretty hyped for the pirate black colourway to drop this weekend. 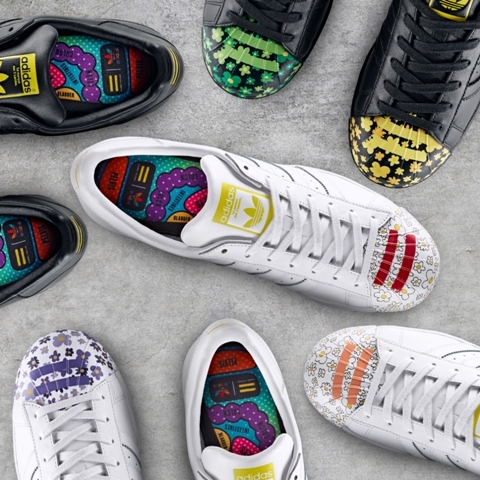 Today marked the launch of the hotly anticipated adidas Originals x Pharrell Superstar “Supershell” collection, also referred to as the Artist Series. 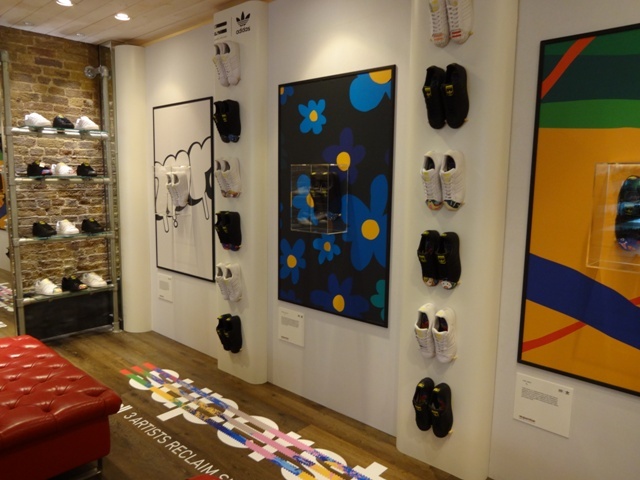 To coincide with the launch, we hosted events in 3 of our OFFSPRING stores, Selfridges London, Shoreditch and Camden. 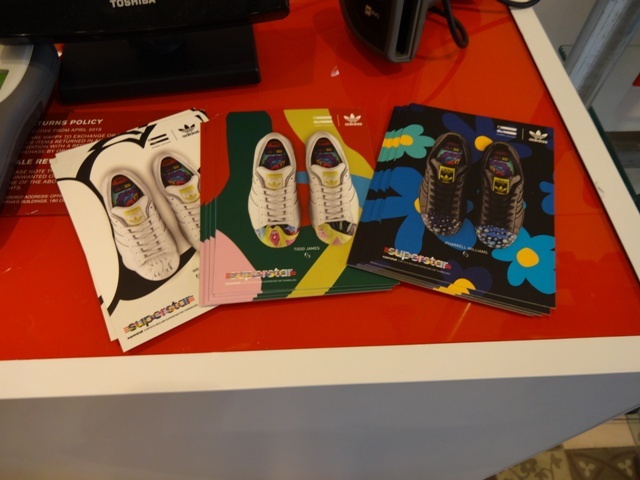 Keeping things cool and East London, the Commercial St store in Shoreditch hosted a Supershell gallery, showcasing the artist series artwork from the 3 designers, Todd James, Mr. and Pharrell Williams himself. 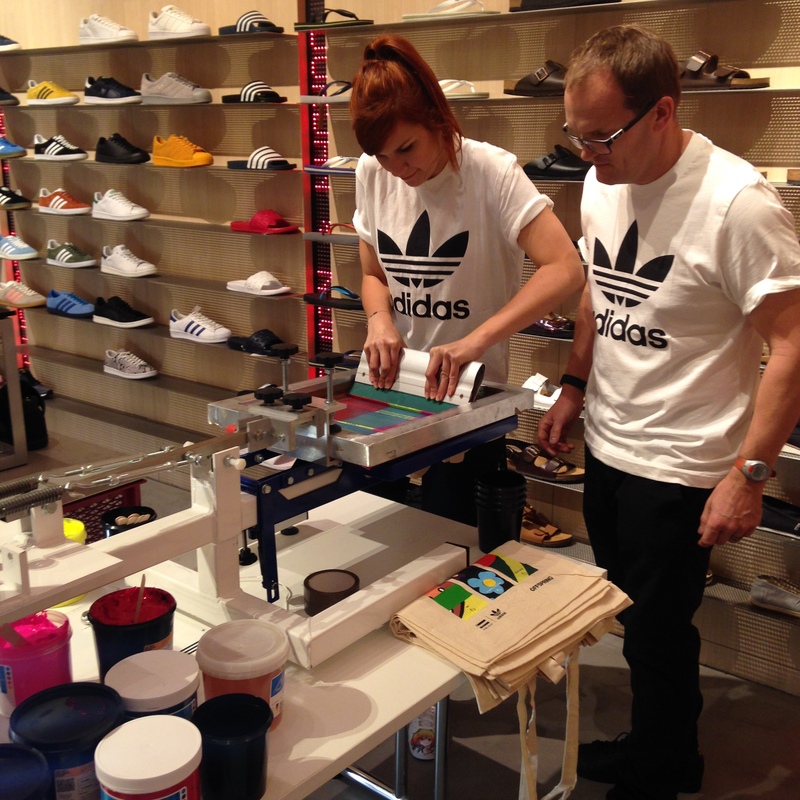 Our Selfridges London concession had a screen printing workshop, where customers could mix their own multi coloured Supershell logo and print it on to a limited edition give-away tote bag. 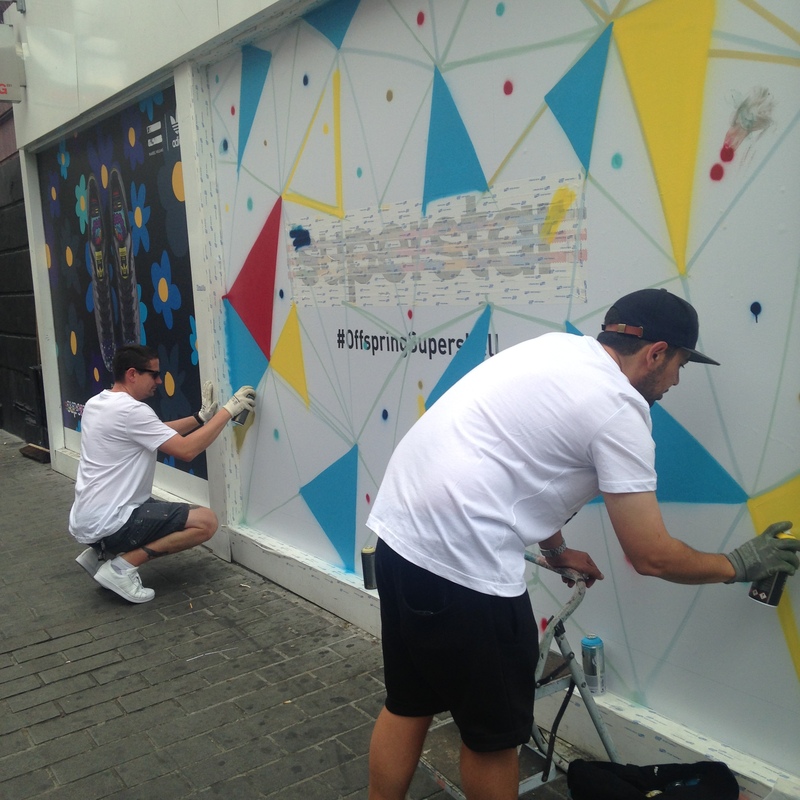 Camden became a piece of art as 2 street artist created a graffitti mural on the outside wall live for customers to watch. The artists will be there until close today and all day tomorrow. Today has been pretty jammed pack with launch activities and with giveaways in store, you need to get yourself down to one of our stores this weekend and check it out. 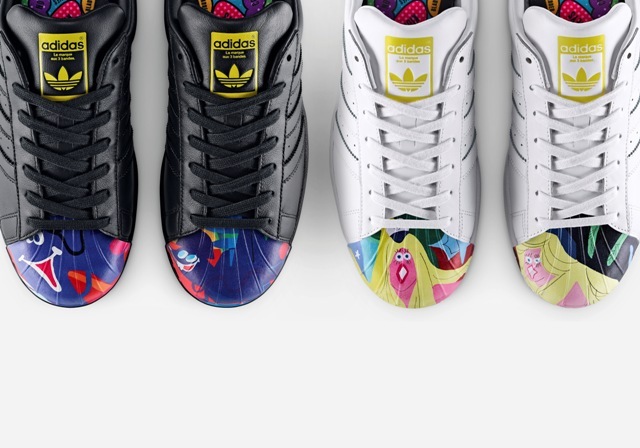 The adidas Originals x Pharrell collaboration is back with his new “Supershell” collection. 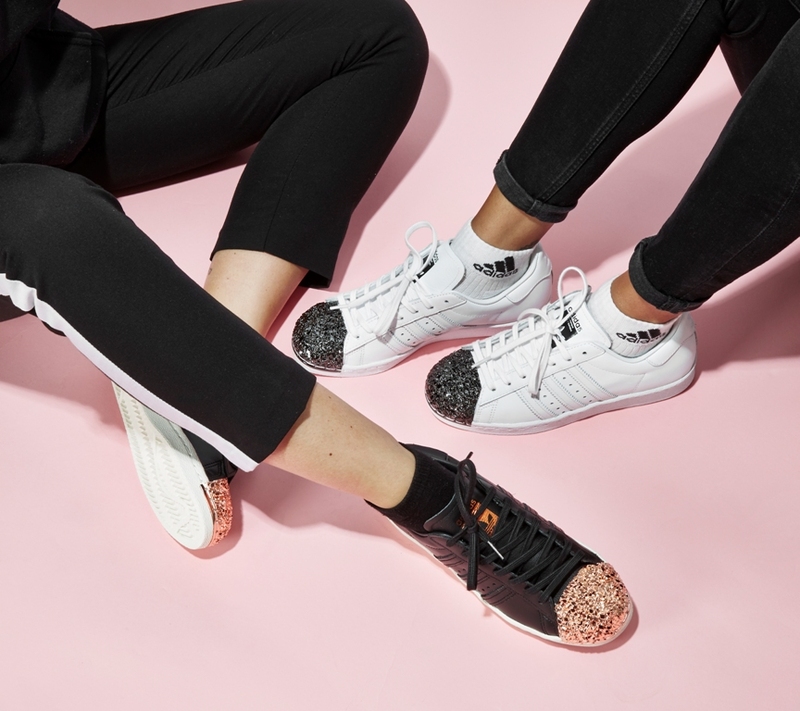 After the success of the Supercolor pack, this new collection is adding another unique spin to the much loved Superstar silhouette. 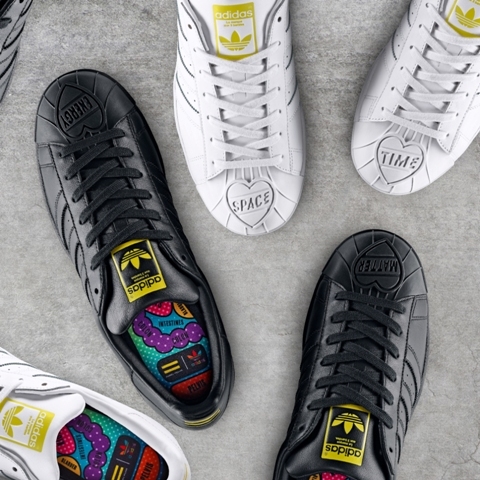 A collaboration within a collaboration, Pharrell has worked with a series of artists to create this pack and each of them have reworked the shell toe according to their style. Within this artist series there are 2 collections, the Artwork that features a print design and the Sculpted that features a 3D embossed toe. OFFSPRING will be stocking the designs by Todd James, Mr. and Pharrell himself all designed on the all black or all white mono Superstar. Todd James is a celebrated New York artist whose paintings and installations have been exhibited in galleries and museums worldwide, including both the 2001 and 2015 Venice Biennales. His immediate and insistent works draw influence from Saturday morning cartoons, subway graffiti, American popular culture and world events. Mr. is a Japanese contemporary artist based in Saitama Prefecture, Japan. He works in a wide range of media, including painting, sculpture, and video – though his works are all closely related in aesthetics, style, and theme. Rendered in the anime style, the girls in his paintings incorporate the unique Japanese concept of ‘moe’ to depict a new form of beauty and refracted sexuality of the contemporary age. In 2014, he set his art to music by directing the unique music video for Pharrell Williams’s It Girl. The collection will be available online and in-store from the 7th August 2015. There will be events on the weekend of launch in our OFFSPRING Camden, Commercial St. and Selfridges London stores, follow @offspringhq for updates. 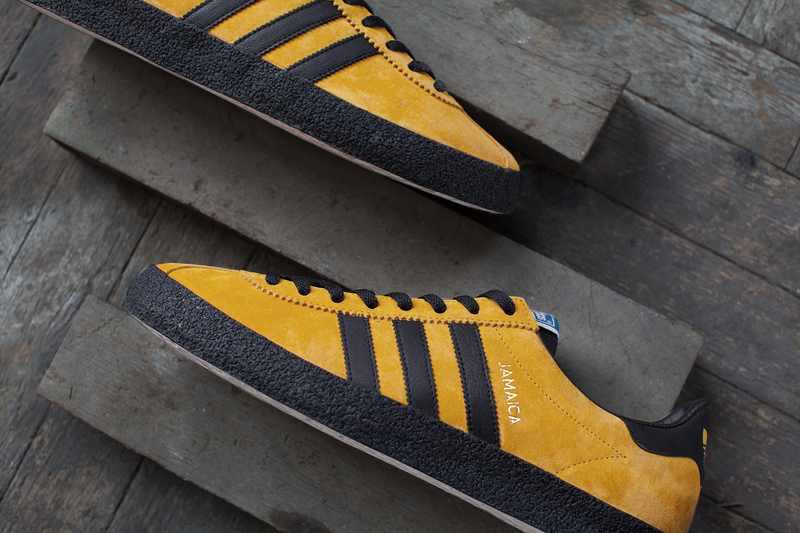 The super hyped adidas Originals “Island Series” is back for AW15 with new iconic style releases, featuring the “Jamaica”, “Trinidad & Tobago” and “Cancun” models. After the much loved SS15 instalment, we are pretty excited for the new additions to drop soon. Originally released in the 1980’s the “Island Series” pack is influenced by islands around the world and takes into consideration the colours and culture that surrounds these tropical countries. 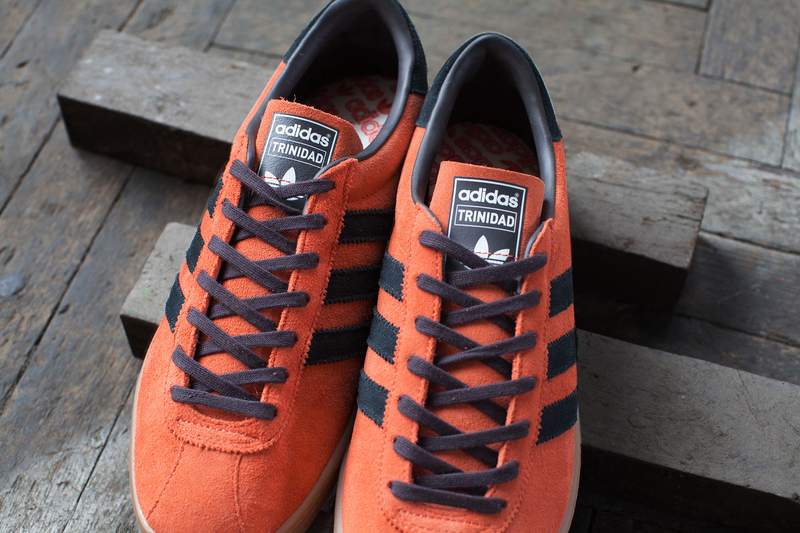 The “Jamaica” model is displayed with a bright yellow suede upper and black Three stripes, the “Trinidad & Tobago” features a bright orange suede upper with black Three stripes and finally the “Cancun” is offered in a light beige suede with dark brown Three stripes. Follow us @offspringhq for more updates on release dates. 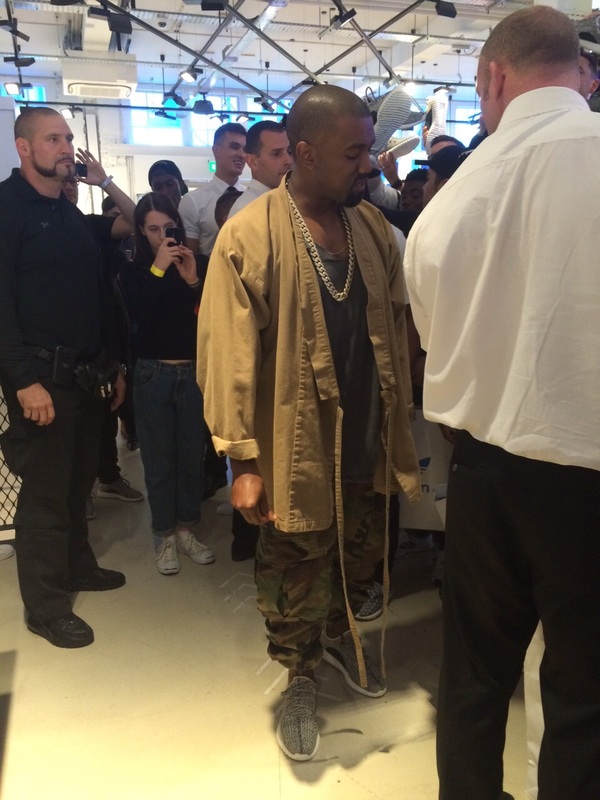 Saturday 27th saw the launch of the long awaited Yeezy Boost 350 and we were lucky enough to catch a glimpse of the man himself. 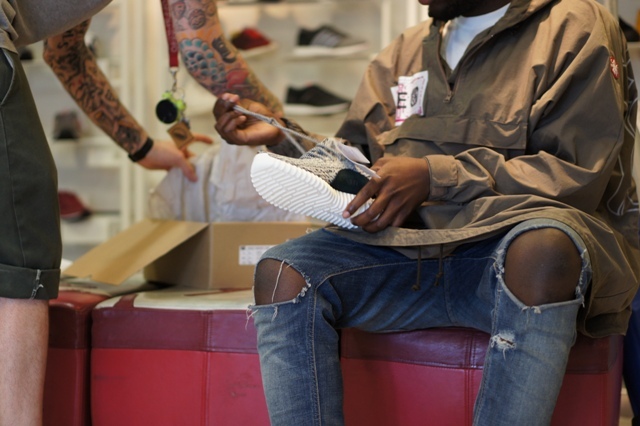 At 8.30 in the morning we headed down to the adidas Originals store in Carnaby St to get a snap of Kanye West who was greeting his fans and happily signing Yeezy boxes for the lucky few who managed to get their hands on a pair. At 10am our OFFSPRING Camden store opened to sell the Yeezy’s on a first come first serve basis and they managed to sell out in a matter of minutes. 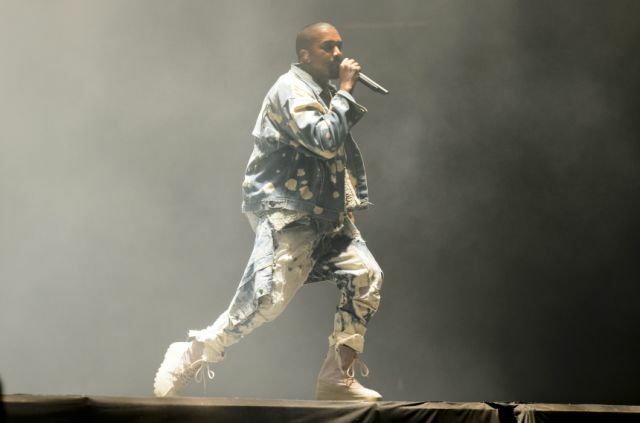 That evening Kanye arrived in Glastonbury for his much debated headline performance in which he blasted out some iconic tunes and delivered some classic Kanye speeches. For true fans, the event did not disappoint and the launch of the Yeezy Boost 350 was perfectly timed to coincide with his iconic Glasto debut.